On Thursday 4 April, at 1:10pm, the Lunchtime Live! 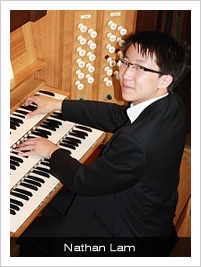 recital will be given by our Organ Scholar, Nathan Lam. An exceptional musician, Nathan is familiar to concert audiences across the county, but this will be Nathan’s first ever solo organ recital. The programme will include Mendelssohn's Organ Sonata no 4 Po 65. 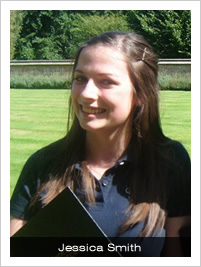 Later that month, on Saturday 20 April, at 1:10pm, Jessica Smith, former Head Chorister at All Saints, now studying Music at Royal Holloway, will give a recital of solo song. Whilst at All Saints, Jess was a finalist in the BBC Young Chorister of the Year, and she also appeared as the featured soprano soloist on the most recent CD released by the Girls’ Choir, Notre Père. In 2012 she was awarded a coveted place in Genesis Sixteen, the training programme for young choral singers of exceptional musical ability, run by the world-renowned choir The Sixteen and directed by Harry Christophers. Admission to both concerts is free, with retiring collection.